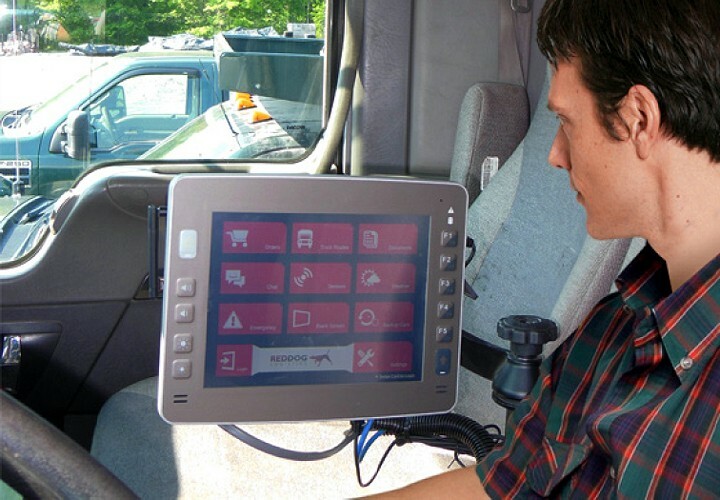 Our partner NEXCOM's all-in-one vehicle mount computer VMC 3000 is installed in tank trucks to optimize mining logistics service by managing the volatile working conditions. With orders, vehicle, traffic and weather information gathered and shared in real time among drivers and dispatchers, the mining logistics service can deliver required material to mining sites in an efficient, safe and eco-friendly manner. The vehicle mount computer VMC 4011 of our partner NEXCOM is aimed at providing field data for fieldworkers and site managers to increasing productivity. Targeted at mobile data terminals on heavy machines, the VMC 4011 is packed with data gathering, processing, display, and transfer capabilities. The VMC 4011 can keep field operations and heavy machines under tight control and close watch for industries including agriculture and forestry, mining, construction, and ports and harbors. 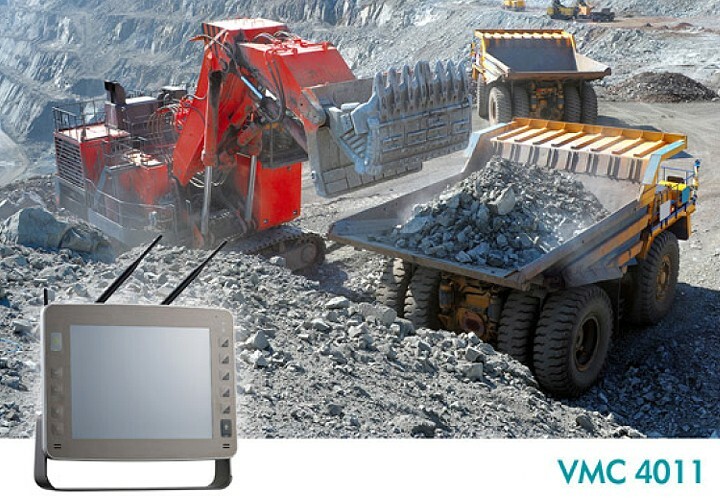 The durable yet economical vehicle mount computer, VMC 100, is built to maximize fleet efficiency and safety. 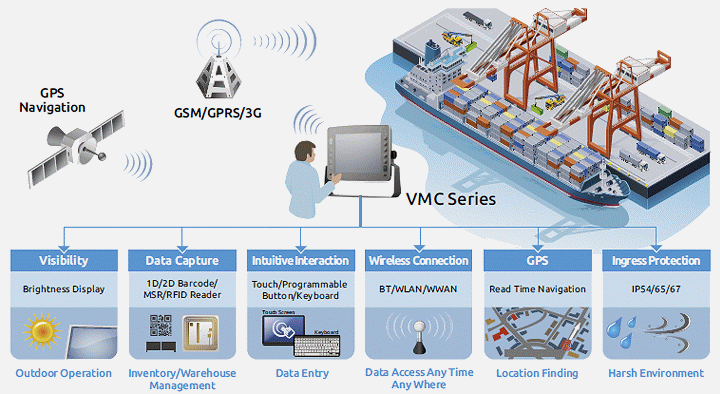 VMC 100 features ARM® Cortex™-A8 processor and an open embedded system of Android, Linux, or Windows Embedded Compact 7, delivering a flexible platform for third party fleet management software. 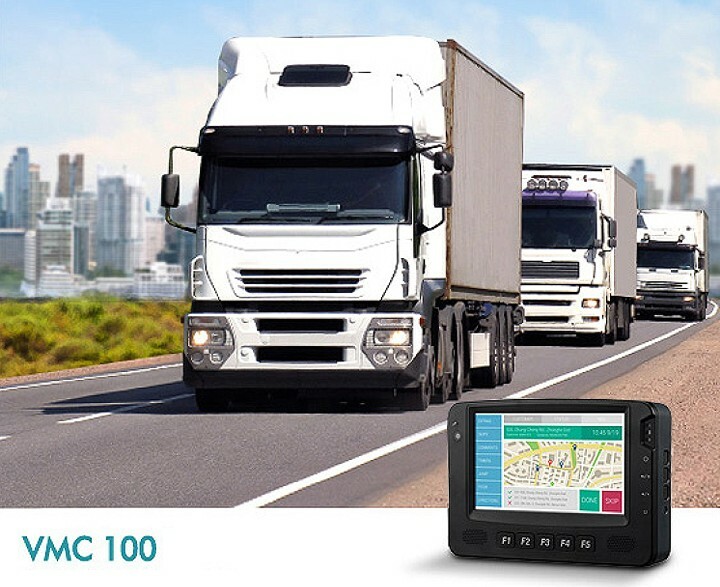 The robust VMC 100 not only delivers great user experience but also helps drivers achieve simplified operational tasks and stay focused on the road. As new free trade agreements are put into effect across the globe, port management companies are seeing a flood of cargo arriving ports and harbors. From precise execution to safe practices, these companies are under enormous challenge on all fronts of port operations and requiring the help of technology more than ever. In a busy port in Western Europe, gantry cranes and forklifts are equipped with our partner NEXCOM vehicle mount computers VMC 4511 and VMC 1100 to achieve high operational efficiency. Putting precision agriculture into practice is no doubt paramount to the ongoing success of the agriculture industry. As global population rises, farmers need to supply adequate food resources to keep up with the growing demand. To maximize harvesting yield within limited arable land, automate tractors and optimize farming efficiency, our partner NEXCOM's VMC 1100 Vehicle Mount Computer has been implemented inside driverless tractors in an agricultural land in Asia. With world population growth, public transport organizations need to improve their facilities to provide better services. With the Intelligent Transport System (ITS) being employed and our partner NEXCOM's Vehicle Mount Computer VMC 3001 serving as the core device of the system, a local bus operator in Asia has achieved an enormous upgrade to its services. Mining is a high-risk and high-tech industry. Using information and communications technology allows site managers to monitor all activities at mines and supervise day-to-day operations. 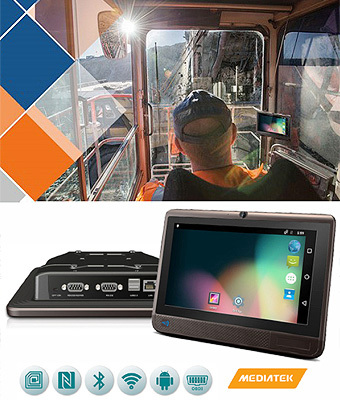 Coming to the assistant is NEXCOM�s VMC 1100 which integrates GPS tracking, wireless communication, remote monitoring and onboard diagnostics to help with overseeing occupational safety and health, tracking mining progress and facilitating the management of mining trucks. Trams provide a convenient public transportation medium to inner-city and inter-city travel. Although convenient, trams typically run in crowded urban areas where safety of both passengers and pedestrians is of utmost importance. In a tramway network of a city, NEXCOM�s VMC 3011 vehicle mount computer has been installed in trams to give drivers increased visibility in vehicle blind spots, providing commuters and citizens a safe and sound transit service. Our Partner NEXCOM brings vehicle telematics to snow plow operations to inform residents of Columbus, Ohio about operation progress. Targeted to modernize the administration of snow and ice removal, the vehicle telematics solution has been deployed in hundreds of trucks to assist with managing and monitoring of automatic vehicle locations, snow plow routes and operation status. With the solution, the city is able to mobilize its snow plow fleet responsively and elevate the residents� perception of public services. In French Brittany, from Emerald Coast to Pink Granite Coast, we preserve our landscape and boroughs carefully. Many of these boroughs are gradually investing in the best computing technology to optimize various services such as household waste collection. 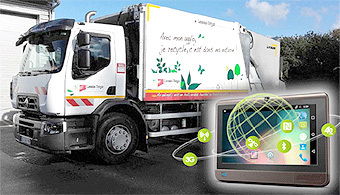 Already established in the region, Mobil-Inn is equipping an increasing number of garbage trucks with their iSmartCollect solution. To embed it in-vehicle, the software developer has chosen the 8" Fanless Touch HMI Slim Panel-PC Android terminal. Garbage collection is an essential public service in modern-day life that is often taken for granted. Nonetheless, ensuring that our trash and recyclables are efficiently and properly collected and disposed of can be difficult and time-consuming, not to mention costly. 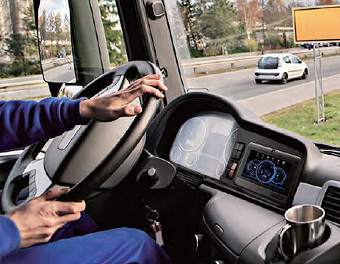 By mounting the 8" Fanless Touch HMI Slim Panel-PC onto the dashboard of each of its trucks, a waste management contractor in the United Kingdom was not only able to improve the overall efficiency of its waste collection fleet, but also ensure that recyclables, which were considered public assets according to local environmental regulations, were being properly processed by drivers.